If you’re a D&D player, a Pathfinder player, or a role-player of any variety, sooner or later your dice will betray you. When that happens, we’ve got all the dice you need – from Fudge to d20 – we do dice. 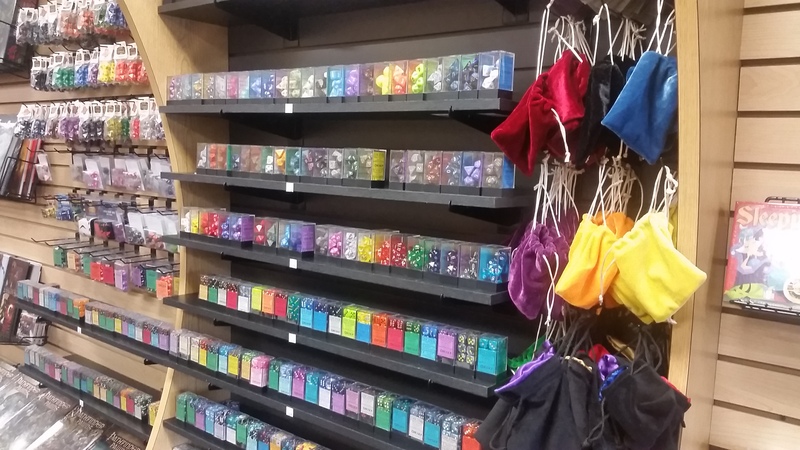 We carry Crystal Caste metal and gemstone dice, Chessex, Valiant Games, Q-Workshop, spindle dice, spin-down dice, and ask us about our custom line of RPG randomizers!